We all love our dogs and know they're part of our family. After all, it's unconditional love and that happy time jumping on you excited that you got home. What's not to love, right? But how much are we really doing to include them in our lives and houses? 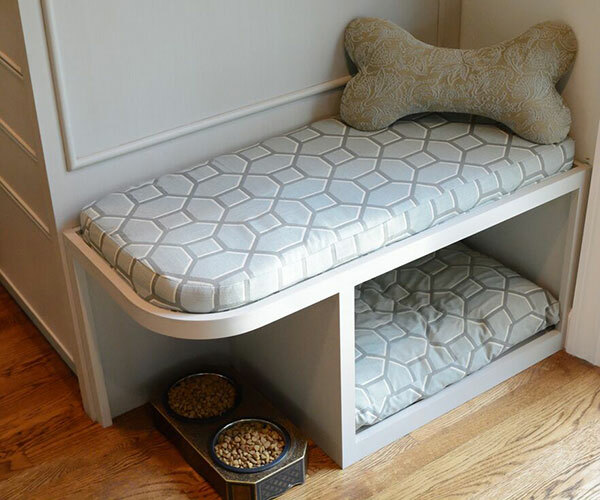 These simple renovations are small for you but great for your puppy. And the best news is that any of the home changes look super nice and can even be a decoration on its on. Your dog will certainly thank you for it! 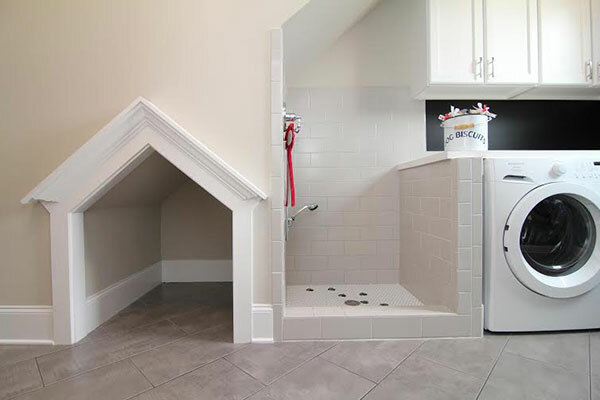 Heated floors, custom built-ins, a separate shower—for the dog? As more households than ever count four-legged family members, owners are adding pup projects—from the down-to-earth to the downright extravagant—to their remodels. 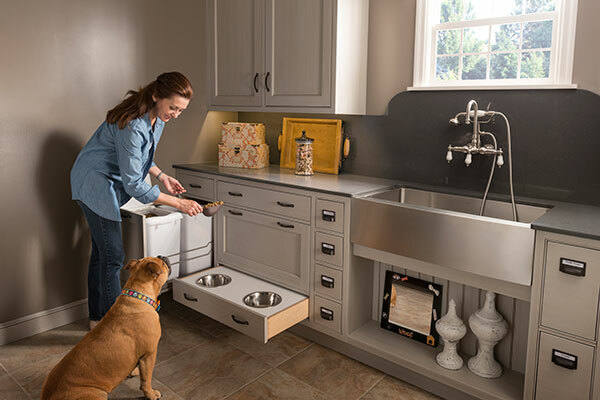 Most canine construction happens in hardworking kitchens, laundry areas, and mudrooms, addressing dog owners' three big needs: feeding, storage, and grooming. Here are some of the most in-demand—and ingenious—dog designs. Pooches like to be cozy, but they also want to keep you within sight. Under benches, in kitchen islands, in open cabinet bases—all are perfect spots for built-in sleep nooks. 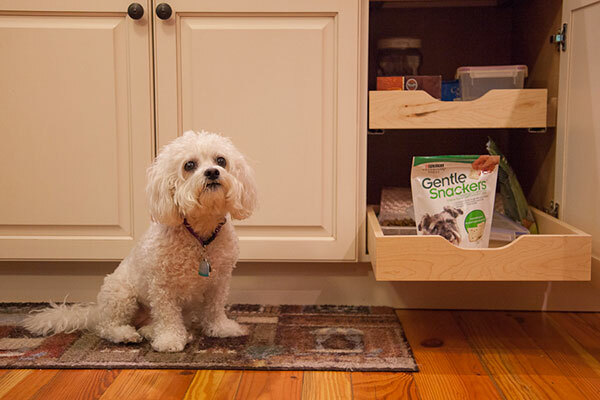 Doling out food is easy when big bags of kibble are stored in a pull-out bin right next to bowls that neatly tuck away when dinner's over. Laundry rooms are ideal for locating a dedicated shower for grooming. This setup lets him dry off in a custom alcove. Pull-out shelves are just the right size for smaller dogs and their less bulky accessories. For more renovations your dog will love click here.